After a long wait, the LK990 arrived tonight. Hope I can install it tomorrow morning and will report here asap. Last edited by chhanthony; 12-28-2018 at 12:53 AM. Wow u got it early,congrats!! Came with a cheap remote but the lens seem like as LK970 and different from X12000H. Last edited by chhanthony; 12-26-2018 at 06:08 PM. Congrats ! It should be a great unit. Congrats and looking forward to hearing the report! Does anyone know what the input lag is on this projector? I'm thinking about getting this, but wasn't sure how it would be for gaming. V2: Take Two: Planning is underway - Oh yeah! Looking forward to your review once you get the LK990 installed. I was unable to open your pictures... only can see the thumbnails.. not sure why .. perhaps the file is too large. Same here...also couldn't open the thumbnails to view photos. Please do!!! And yes fix those images please. LK990 has been install yesterday, spent 5 hours watching anc calibration, I can confirm that the images from LK990 are very very sharp, when I watching one sceen Hugh Jackman stand on the stage in The Greatest Showman, the picture is very very sharp, it is similar to the picture in JVC Z1 which I calibrated in two months ago. Color in vivid mode is good when in cinema mode is under satrutation. I got better image when I turn off the HDR mode. I got the max 330nits in 100" screen, but it may the high light very unwatchable. I can have real black when I use SmartEco, but the black level is not that good, I got 0.6 nit on 0% IRE. For some reson I decided to return it to BenQ. Did you return it due to poor black levels? You enabled the dynamic laser dimming, right? Black level, I can live with it, I will share the reason after I got my money back. This is still a high lumen business projector, therefore I would guess home theater use is not the main goal of this projector. 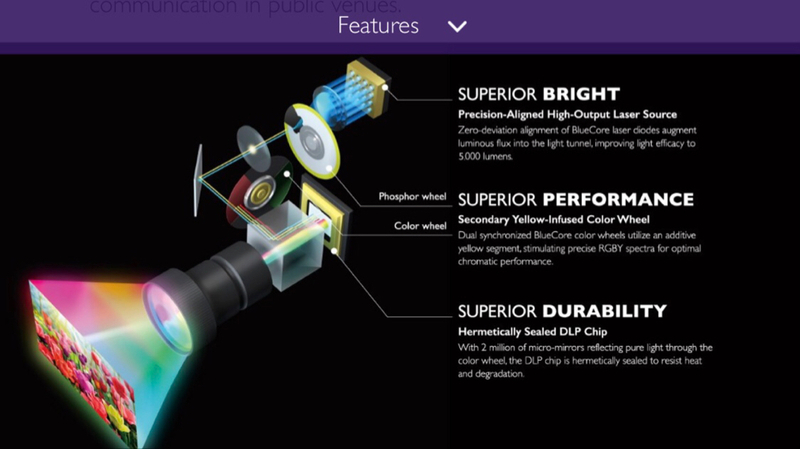 Obviously with that brightness it's going to have a high native black level and therefore the contrast will suffer, probably be more loud than a home unit, and also business DLPs all have clear or near-clear color wheel segments to increase lumens, which play havoc with colors, unless you can turn it off. I am not sure how turning off the non RGB segments affect the black value, if at all, since the light bleed would be the same. So just based on the specs I'd say it's not going to make for a competitive home theater projector, 4K or no. Thanks. Being a 970 owner a couple of things worried me about the 990. It seemed like in the search for more lumens they may have sacrificed some color gamut and cranked up brilliant color. In addition, I am not a huge fan of most OEM implementations of HDR. It would great to hear in time what type of issues the 990 had. I don’t think you gave it nearly enough time and tweaking to get a real picture of what that thing is capable of, but thanks for the valuable input nonetheless. It would be great if you could share that reason NOW so the rest of us possibly don’t waste our valuable time, energy and money getting one only to have to also return it for the same issue. Thanks for your understanding in doing so. Yes it’s not really designed for home theater, although the LK970 does list that as a use case on its website. It’s apparent you haven’t seen it’s brother the LK970 tweaked up properly for HDR and HT purposes and in action though. It is a sight to behold, especially given what it can be had for now. 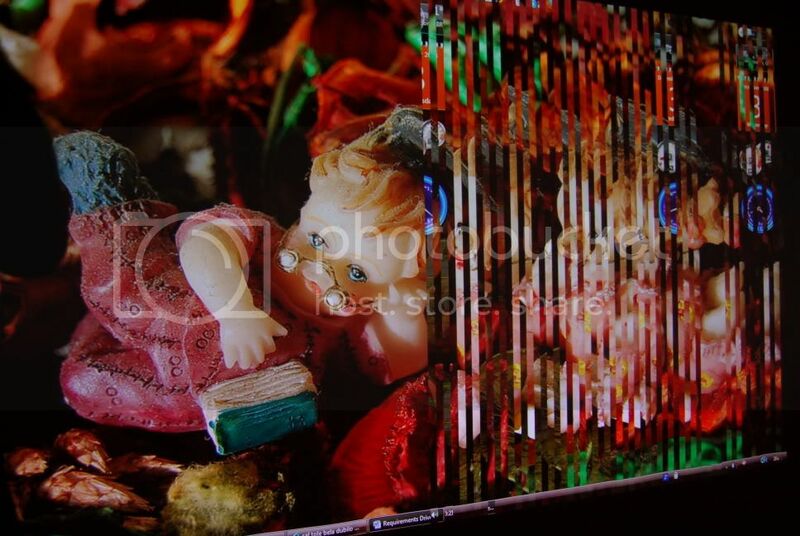 The only slight knocks on it are black levels as discussed and maybe needing a little more color gamut width for HDR BT2020, which we are hoping the LK990 addresses. As 12GAGE mentioned in a post re: the LK970 and also from my experience, you can’t go by a static black level pattern to measure the black floor. For some reason once you’re in actual transitioning video content, the black level goes lower, most likely due to the laser modulation and other video processing factors. Yes, there are clear segments on the phosphor and color wheels, but not as you think their use case is. When using laser phosphor as a light source as opposed to a lamp, the clear segments are only there to allow the native blue of the laser phosphor and the yellow infused phosphor wheel color to pass through them. You will see this when measuring color gamut as those two are the most saturated of the 6 primary and secondary colors. The yellow from the phosphor wheel also mixes with red and green to give them a wider gamut as well, similar to using a yellow notch filter on a lamp based projector to achieve DCI-P3 colors. The clear segments on laser phosphor DLP wheels are not used for increased brightness like they are on lamp based DLPs. Although I think maybe 12GAGE thinks they implement the clear segments to get the extra 1,000 lumens on the LK990 over the LK970, I personally think they just boost up the laser power or maybe added another laser bank. Power Consumption (Max/Normal/Eco)	Max 595W. Normal 540W. Eco 430W. Standby Power Consumption	Normal < 0.5W. Network < 3W. The LK990 draws more power so they must be driving more lasers. Yeah I'm guessing you're right, based on the info it's a RGBY wheel, the clear segment probably for blue. But I am also guessing that 5000 lumens is for white only and not the colors. Although I'm not sure how adding additional colors to the RGB can really help with colors, other than to make a specific subset of colors brighter. We do have a new laser Epson 3LCD at work now and while it's great color wise, the black level is high, a bit distracting, but I am also not a fan of dynamic contrast, which is more distracting. 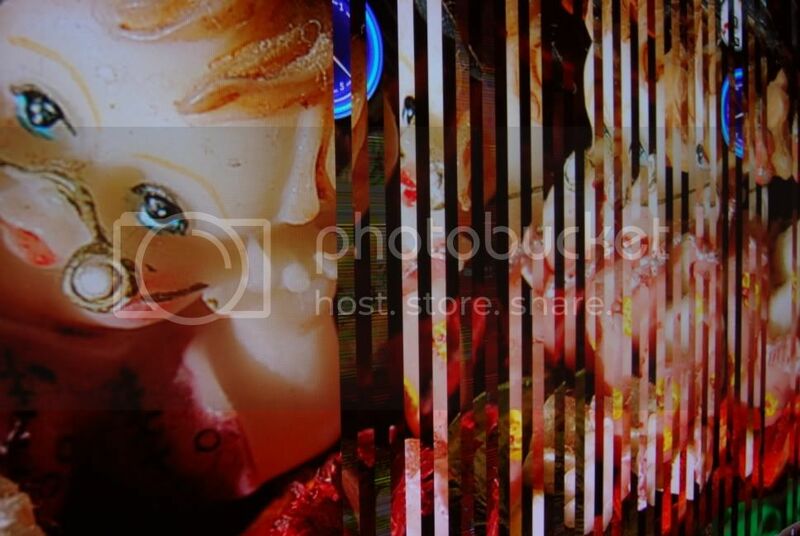 I do like the simplicity of DLPs light path and no convergence issues, usually means a sharper image. But we had a convention lamp based Benq DLP before and the colors were horrid, unless you turned off BrilliantColor thing, which made the brightness go down by like half, so not good for a bright office environment. So i'm quite interested to know how the laser DLP compares in this segment, in theory it should make for better color lumens now compared to the lamp DLPs. I still think if one needs colors with high lumens 3LCD is the way to go. But then again for home use even like half of the 5000 DLP lumens should be plenty enough. Anyway here is a review for a Benq LU950, which I believe uses a similar laser engine and RGBY color wheel as the LK9x0, apart from the lack of 4K. Especially the pic/video quality section, apparently they did like the colors a lot. Obviously the brightest mode was not really usable, but a Vivid mode with 3500 lumens was, or about 80% of that on ECO mode. Last edited by LeQuack; 12-24-2018 at 01:19 PM. Yeah we would really like to know plz why you returned it if it wasnt for the black level so potential buyers dont make the mistake if that is something major. I expected u to like it though since i have the 970 and the picture it produce is brilliant with harpervision tweaks or with madvr, like Dave said i dont think u gave it enough time, it took me like 30hours of tweaking and calibration and trying different stuff to get it to that excellent picture.Only Black level isnt the best specially when compared to jvc next to it but its respectable specially with how bright it is it looks inky in a lot of scenes. Last edited by tnaik4; 12-24-2018 at 01:38 PM. Power Consumption (Max/Normal/Eco)Max 595W. Normal 540W. Eco 430W. Standby Power ConsumptionNormal < 0.5W. Network < 3W. That is a VERY interesting find and one that I wouldn’t have thought to look for! Thanks for posting that MMC57! I think you’re right about having extra laser banks, or maybe the ones there are just capable of being driven harder. The Phosphor wheel is what is what they call “Yellow Infused” and gives a deeper and purer yellow generated from the blue laser striking the phosphor wheel, which also has a clear segment to pass through the native blue laser (through a despeckler). Yellow is made up of a mixture of red and green, so when you use the yellow laser phosphor light shining though the red or green segment, it will be additive and enhance its color gamut width. Rainbow effect had gotten pretty bad on the Optoma UHZ65 as I began to notice it more and more due to focusing on an issue I had with the menu window. The UHZ65 shares the same color wheel technology as the LK990. The UHZ65 had a fantastically dynamic and well-tone mapped image notwithstanding. The issues I had with it were that the menu window information kept showing omissions and the hz displayed in the menu was anomalous. Still, on 0IRE in dynamic black 2, no less, I achieved .029 for a dynamic contrast ratio of 35,474 on one of the units. As good as the UHZ65 tone mapped, I found it worked even better when the player tone mapped. This made for less RBE and a cleaner image, at least in my set up. By comparison, the predecessor LK970's sibling, the HT9050 (of course LED/HLD design) had very minimal rainbows. The lens did not show any hint of CA. The processing was clean and ANSI contrast was very high. However, I couldn't get it to actively dim even with the latest firmware. For 0IRE I could achieve only .6 as well...actually .678 for a contrast of 924:1. I returned to BenQ for different reasons and the company was great in assisting me with my needs and upon my request gave me my money back. I expect with the high lumens, the white ceiling will be much higher than on the HT9050 and I would expect the 970 and 990 to perform more similarly to the UHZ65 in terms of subjective contrast. Knowing what I know about the lens on the HT9050 and the dynamism of the laser in the UHZ65, I would really like to demo the LK990. I'm wondering also if the BenQ laser machines have an elongated red segment in the color wheel that minimizes RBE. Last edited by Aztar35; 12-26-2018 at 10:57 AM. 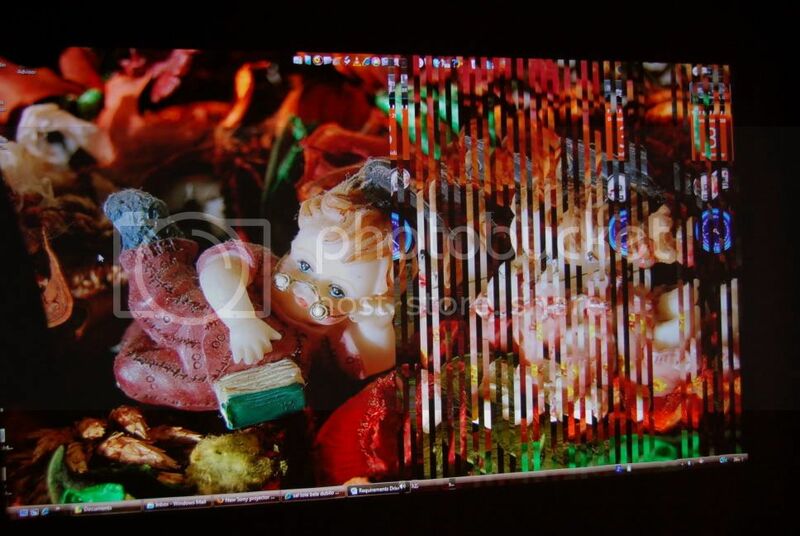 I decided to return it not because of the picture quality, I think it has some firmware issue has to be fixed, this issue was appeared in my BenQ W5000 in 10 years ago. I edited the post, the picture should be available to see now. Please forgive me not quoting the question one by one. Sure, rainbow effect depending on different people, I didn't see any rainbow effect on the image of LK990 or may be a very very very little even I shaking my head very fast, but I saw a lot on the images of UHZ65 and VL7860. Actually, I believe there are some firmware issue so that it is unfair to judging it at this stage, I will keep the update here. I could only accept the black level on smartEco mode and it can total black in some fade out screen, it noticeable but not really bothering and it will not like UHZ65 in Dynamic Black 2 and 3 make the very low light screen into a total black. movement is quite good (for me), I can't see judder when watching movie. No gamma adjustment under HDR mode, and the curve can strange followed the HDR10 curve in CalMAN (measured peak white level). But it raise the low light screen a lot and I feel in HDR mode (just because it following the HDR10 PQ curve) and turned out lower the dynamic and got washed out flat image, when I turned off the HDR in UB900, I got better image depth better low light screen. Make it clear, there is not return policy in Hong Kong, customer bought the machine it is a final, the manufacturer will fix the defect or replace another one to you, but would not give your money back. In my situation, I don't know what BenQ will do, fix it? replace it? or return it? But I want to get my money back first because I don't know how long the BenQ to be needed to fix the issue and there is only ONE LK990 in Hong Kong. Last edited by chhanthony; 12-26-2018 at 07:31 PM. It is no contest between the two, especially with sports and HDR. I have extensive time with both models and if you have the extra budget funds then it’s well worth going with the LK970. From build quality to final image quality, the BenQ easily and handily beats the UHZ65. The LK970 with my HarperVision tweaks and settings for HDR is the first projector I’ve had here that comes very very very close to the LG OLED C8 65” that I have in my living room! (in mid-tone and higher scenes like the forrest scene in The Revenant before Glass gets mauled by the grizzly, and many scenes in GotG 2, etc. ), and mind you this is on a 137” diagonal scope projection screen vs a 65” letterboxed OLED!!! That was my experience between the UHZ65 and LK970 as well. Hardly saw them at all on the BenQ but could see them easily when I tried on the Optoma. It is no contest between the two, especially with sports and HDR. I have extensive time with both models and if you have the extra budget funds then it’s well worth going with the LK970. From build quality to final image quality, the BenQ easily and handily beats the UHZ65. Thanks, Dave. Your findings are good enough for me. BenQ will take back LK990 for checking. Did your unit exhibit vertical or horizontal blocking/stripes? The 5000 would exhibit blocking/striping as a ten pixel wide by 1080 grouping. it was the soldering of the dmd controller chip that was flaking off.